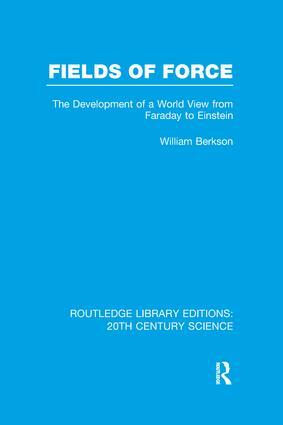 The Development of a World View from Faraday to Einstein. This book describes the picture of reality given by Newton, and the development of the later picture of reality given by field theory. In telling this story, the author explains what problem each scientist faced, and how the process of solving them led to new discoveries. By this method he gives unique insight into the understanding of Einstein’s special theory of relativity, as he explains exactly what problems led to the invention of the theory, and exactly where Einstein’s solution differed from his predecessors’. A similar analysis is given of the discoveries of Faraday, Maxwell, Hertz and Lorentz. The problem-oriented approach of the book, originally published in 1974, enables the reader to share in the original creative process, and in the excitement of the discoveries. It puts physics problems into new perspective and discusses the philosophical implications of the history - an illuminating account of a great episode in the history of thought.